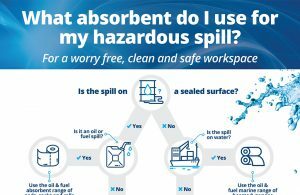 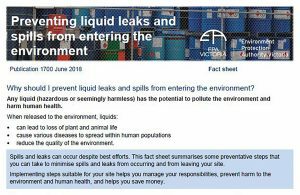 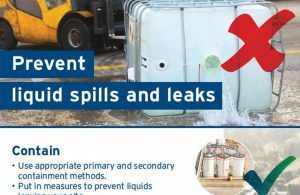 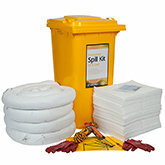 You’ll never know when a spill will happen, but when it does, having a spill kit on site will help you avoid a major safety or environmental incident which could result in hefty EPA fines. 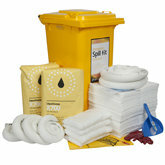 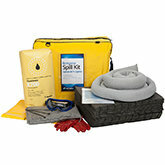 Spill kits contain everything you need to rapidly control, contain and clean up spills. 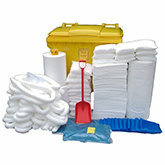 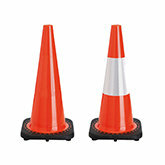 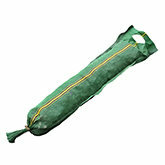 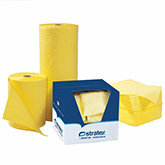 Kits consist of absorbents, PPE, disposal bags and other items to help you quickly respond to a spill. 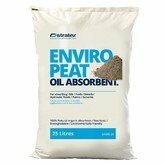 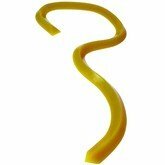 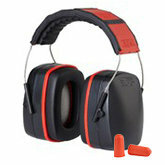 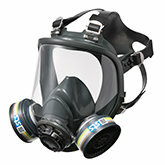 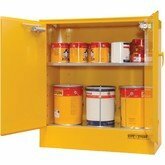 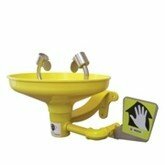 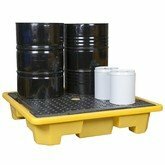 Each kit is designed for different spills such as oils, fuels, solvents, acids and hazardous chemicals. 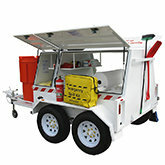 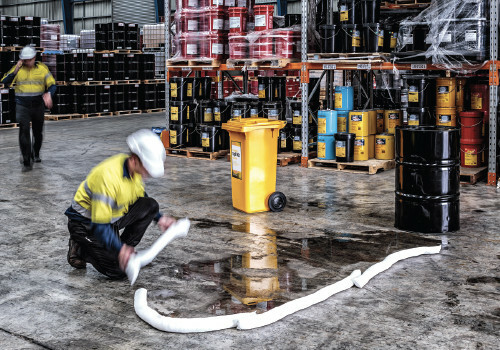 Spill kits are available in a variety of configurations to suit your needs, such as containers and bags to buckets and wheeled bins. 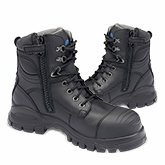 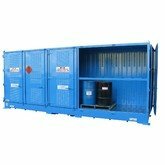 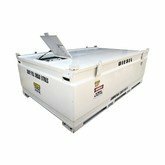 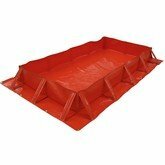 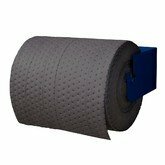 They’re ideal for all industries, including workshops, loading docks, liquid transfer facilities and factories. 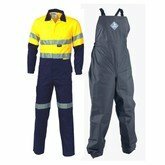 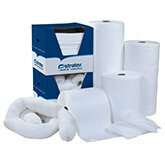 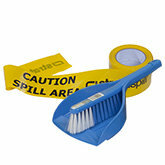 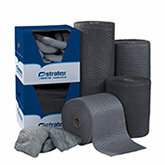 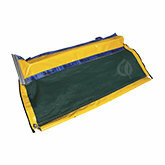 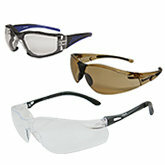 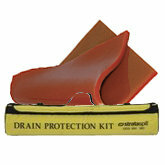 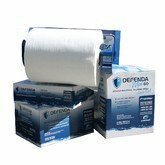 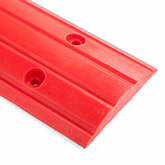 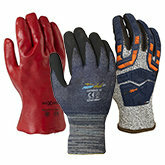 Avoid workplace slips and environmental damage from hazardous spills with a spill kit on hand. 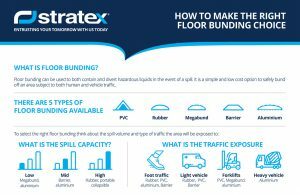 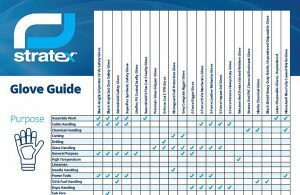 To ensure you are making the right choice when selecting floor bunding, Stratex has put together this handy guide to help you keep your workplace safe.